One of guest rooms at our Mechanicsburg B&B is named “The Magnolia Suite”, so named because we have magnificent magnolia tree in our back yard. That is pretty amazing for south central PA! These gorgeous trees like warmer climates and flourish in the south eastern part of the US. 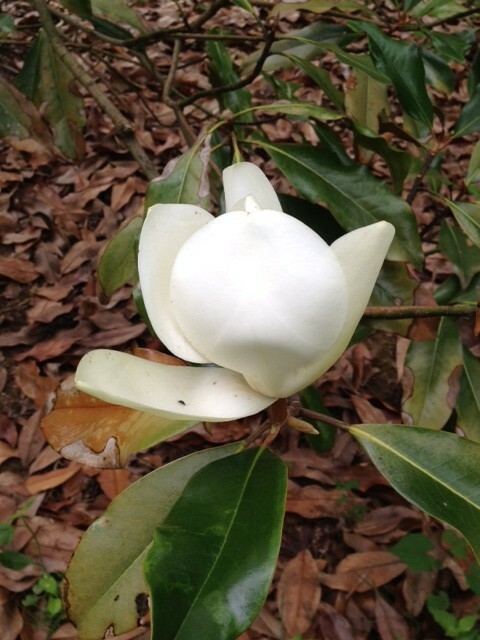 Last winter was VERY harsh and hard on many plants that thrive in the south. Magnolia trees, Crape Myrtle, and Leyland Cypress in the Carlisle area, all were hit very hard and many are struggling to grow this summer. 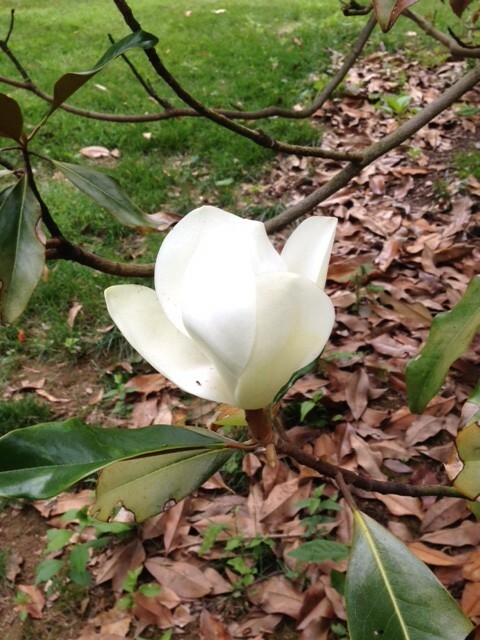 We thought we had lost our MM (Magnificent Magnolia). We had an arborist come to trim the broken branches and we fed the poor thing. Check it out – there are blooms on the tree! I guess we can keep the name “Magnolia Suite” on the room that has a view of this beautiful tree.